The old adage really is true: too much of a good thing is never that good. Take too much sun, for instance. Not only is it hard on people and animals – it’s tough on plants and hard surfaces too. That includes, believe it or not, asphalt as well! While it’s true that asphalt surfaces are extremely durable, they’re not indestructible, and hot sun can be extremely damaging to asphalt. When you look outside on a sunny day, you may not realize the chemistry taking place right before your eyes. In bright sunshine, ultraviolet rays of the sun fuse with oxygen. When asphalt is exposed to that sunshine, the chemical bonds that hold the paving material together begin to break down. 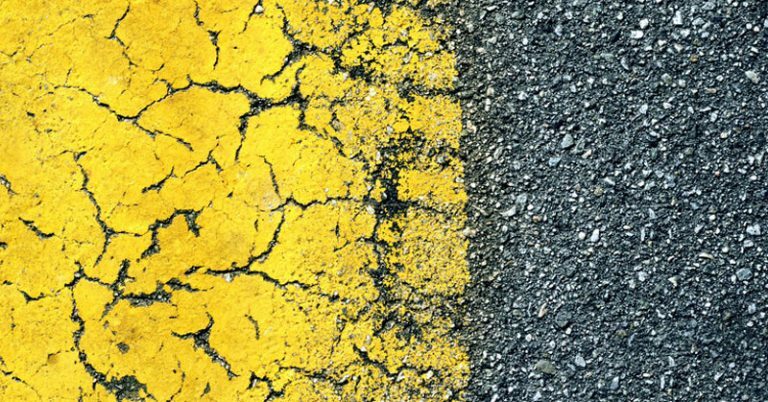 This can cause the asphalt to fade, and can weaken the asphalt and create cracks. If your asphalt surface has been damaged by the sun, you’ll see it. Listed below are some indications of sun damage on asphalt. The surface may become warped. Look for uneven areas of the surface. Either swelling or indentations could indicate sun damage. The surface may look faded. Just as a person’s skin can become sunburn, the same thing can happen with asphalt. Faded areas may indicate sun damage. The surface may begin to break up. Because sun damage weakens the chemical bonds that hold asphalt together, the result could be chunks of asphalt breaking loose from the surface. The surface may begin to thin and spread out if the tar in the asphalt is exposed to too much heat and begins to melt. If your asphalt surface has been damaged by the sun, it might require repairs. You should contact a reputable paving contractor to assess the damage and recommend the appropriate repair work. But whether your surface is already damaged, or you’d like to ensure that it doesn’t become damaged by the sun in the future, there is one excellent way to protect it: seal coating. Seal coating is an effective way to protect your asphalt surface not only from sun damage, but from harmful fluids and water damage, as well as everyday wear and tear from normal use. A paving contractor can provide you with more information, as well as recommend how often you’ll need to have your surface seal coated. Sunny weather may be beautiful, but too much of a good thing is never that good! Take steps now to protect your asphalt surface from the damaging rays of the sun.